Once a year I’m invited to fly at the Shuttleworth collection. 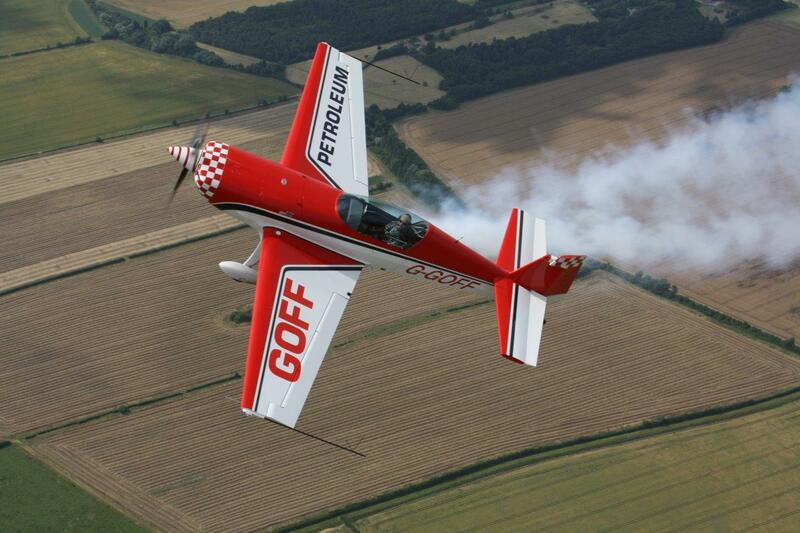 This year I’m flying the GOFF petroleum Extra 330LX. (Flight order below) The Shuttleworth Collection is delighted to welcome classic car owners and classic car groups to our airshow. Coupled with all our own historic vehicles on display in the static arena, visitors will have the perfect opportunity to photograph these marvellous and truly beautiful old bicycles, motorcycles and cars. The day is made complete with a full flying display, which includes a selection of our own unique aircraft taking to the sky along with visiting aircraft, such as the Avro Anson accompanied by two Spartan Executives. Additional visiting aircraft include the ‘Travel Air Mystery Ship’ and of course those all-important aerobatics. Pre-show entertainment will include live music from ‘Brian Johnson – Wartime 1940’s soloist’, the children’s craft ‘creation station’ and the Collection’s historic vehicle parade, which features the 1900 Marot Gardon – an excellent example of a genuine early Victorian Quadricycle (manufactured by Marot Gardon of Rue Brunel, Paris). Facilities include the restaurant (with free wifi), trading stalls, gift shop, as well as the children’s Jubilee playground. Join us to experience and learn about the important heritage that Shuttleworth strives to preserve: those amazing cars and those special aeroplanes. A Shuttle Bus will be departing from Biggleswade train station at approximately 11.30am, the return journey will leave Shuttleworth at 5.30pm from the main gate in front of the visitor centre. Cost: £9.50 return, £5 single, children up to 16 yrs FREE.